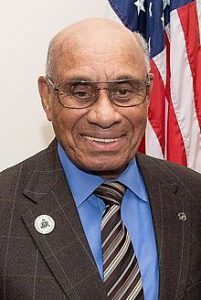 Willie O’Ree is the first black player to ever play in the National Hockey League. He broke the NHL colour barrier when he made his NHL debut on January 18th, 1958, when his Boston Bruins took on the Montreal Canadiens. Born in Fredericton, New Brunswick, O’Ree has received many accolades during his life, including the Order of Canada, which is the highest civilian honour a Canadian citizen can receive. O’Ree will be inducted into the Hockey Hall of Fame later this evening.